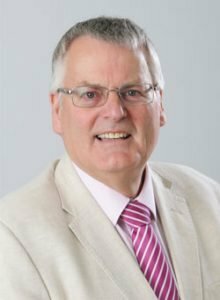 Earlier this month Colchester MP Will Quince wrote a column on the need to tackle homelessness and create more social housing to confront what is a very real housing crisis. Whatever your politics Will is well placed to comment on this issue, sitting on the Government’s Homelessness All Party Parliamentary Group, and I couldn’t agree more with his key message – To solve homelessness we must build homes. Within North Essex, as across the UK, this is a real problem which we cannot continue to ignore. Across Braintree, Colchester and Tendring there are around 8,000 families on housing waiting lists. Over 270,000 people are registered as homeless across the UK. In 2017 the charity Crisis estimated that around 2.27million households across England concealed single persons living with others, a ‘hidden homeless’ of individuals unable to afford to live in their own property irrespective of whether it is rented or not. This is a challenge that we need to tackle collectively, and as a Council Leader I am very pleased that Will is raising the issue of social housing with the Housing Minister. As Councils our role traditionally has been to allocate land and work with developers to bring forward the right sorts of homes to meet the needs of our communities. We have been badly let down. Not necessarily by the developers who are ultimately commercial enterprises, whose primary responsibility is to make a return for their shareholders, but by a system which shifts the power to the developers and restricts councils’ abilities to demand that the right sort of homes come forward. Yes, we can ask them to provide different types of affordable tenures and infrastructure, but ultimately we can’t afford for the developers to walk away, as we have to get the housing numbers we are required to meet. So the balance of power sits with developers whose model is based on capturing profit and providing the sort of homes that make them the most money. With a lack of quality affordable housing, many people are forced into a private rented market which due to demand has increasingly become unaffordable to those that need it most. We must then look at new and different ways to provide housing. That is why we as a Council along with Colchester and Tendring Councils and Essex County Council believe a long-term strategy of purpose-built new communities led by the Councils is the best way forward. Most people reading this would agree that affordable housing is important, most would accept that housing generally is needed, but all would point to the infrastructure issues we face. Whether that be difficulty getting a doctor’s appointment, a place at a school, or the traffic on our clogged roads. And yet over the coming years we need thousands of homes, with a large percentage coming as affordable tenures. We are often criticised for talking about the potential of Garden Communities providing 43,000 new homes, but the reality is that over the next 50-60 years there will be many more than that needed across North Essex. It’s just that we don’t tend to ever speak or think in that kind of timescale; you would normally only hear about the next 5-10 years. So how do we do meet that need whilst providing the types of housing and infrastructure we need? Well to put is simply – housing pays for and generates infrastructure. The more homes we build in one place, the greater the critical mass to get the things we need. We need to stop building 150 homes 100 times and instead plan for 15,000 homes once. But then of course if we leave that to the developers we will come up against the same old problems. We cannot simply hope that they will do as we want them to do or you the residents need them to do. That is where the Council leadership comes in and the focus you have seen on Garden Communities. We want to take an active role in our communities of the future, stepping into the role of the developers, creating not just planned settlements, but long-term managed communities which are designed and created in a way that focuses on what the community needs rather than delivery being dictated by profit levels. Yes of course they need to be sustainable, and they need to be financially viable. The process we are going through will determine that, but the potential and opportunity to create something which disrupts the developer model that clearly isn’t working is one we should not casually dismiss. In terms of affordable housing, the concept would enable us to go much further than the traditional provision. We can look across the whole range of affordable and intermediate homes – social rent, local shared ownership schemes, shared equity schemes, key worker housing, older persons’ housing, supported living, even council housing. Of course, there are those that disagree with the Garden Community idea. They should be listened to and they should have their say. Alternative plans and ideas will be assessed and looked at. However, those alternative plans and ideas should also be challenged to ensure that what comes forward addresses our long-term housing requirements whilst looking to genuinely tackle the affordable housing issues that we need to address. We simply cannot keep taking a short term view, too much is at stake for everyone.